Until this week, I had no idea the torture that allergy sufferers go through. I’ve seen the commercials and know people who suffer from allergies, but now I completely sympathize with them. I woke up with watery, somewhat swollen eyes, sneezing fits like no other, and a runny, stuffy nose. Maybe it’s because I haven’t had a cold or been sick in about a year, but I was miserable and exhausted. I couldn’t neti pot because my nose was too stuffed up, so I resorted to hot baths with essential oils and hot tea with lemon and ginger….all of which helped temporarily. After a couple of grumpy days and sleepless nights I needed something more. I had to laugh at some of the “natural remedies” that I found online….for example, avoid going outdoors and don’t drive with the windows down. Really?!? 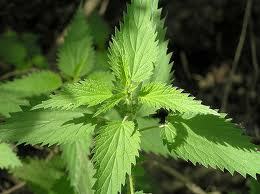 I finally stumbled upon stinging nettle. I had heard of it before and knew that it had many benefits, but did not know that it could help with allergies. “Stinging nettle has a long history in herbal medicine going back to Ancient Greece where it was known to reduce coughing and arthritis symptoms,” (www.holisitic-medicine-md.com/stinging-nettle.html). Unlike the conventional antihistamines, stinging nettle does not cause any drowsiness and still manages to reduce allergy symptoms such as sneezing and runny nose. 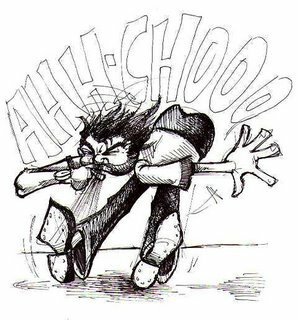 Antihistamines (and sometimes steroids) are the conventional course of treatment for seasonal allergies. However, antihistamines merely suppress physical symptoms and fail to address the underlying cause. Allergy, and asthma for that matter, can often be attributed to common food allergies, a malfunction in fatty acid metabolism, or even low stomach acid. Many people are under the impression that antihistamines inhibit the production of histamine, as the generic name suggests. But according to Michael Murray, N.D., “Antihistamines do not block the release of histamine. Instead, they block the action of histamine at receptor sites.” They also perpetuate a cycle of immune over-responsiveness, allergic reaction, and a need for more medicine to alleviate symptoms. Furthermore, these powerful synthetics invade the brain and nervous systems to produce unpleasant side effects ranging from drowsiness to depression. For some people (as is the case with this writer), antihistamines can cause even more alarming and potentially dangerous symptoms, such as extreme excitability and heart palpitations. I guess it’s true what they say, if you’ve never had allergies, you’ll definitely experience them if/when you move to Bend, OR. Apparently this is the worst season yet…lucky me!